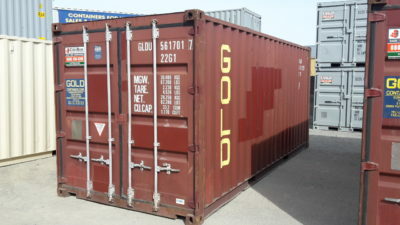 These 20ft Economy Shipping containers are of Cargo Worthy standard. 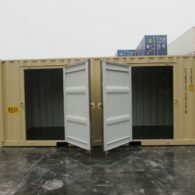 The containers are wins and weather tight and structurally sound. 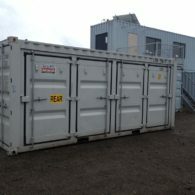 Suitable for workshop, secure storage, tool shed, site shed or farm storage. 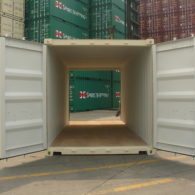 Delivery can be arranged either via swinglifter or Hi-Ab, this is an extra cost. Suitable access would be required. Pick up available from our depots if required. 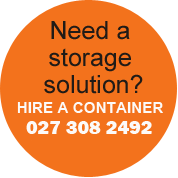 Talk to our team today regarding your container sales or hireage requirements. 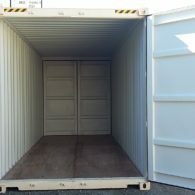 Category: 20' Containers. Tag: 20' Containers; shipping container; storage; tool shed; toolshed; workshop; commercial storage; secure storage; Wellington; Palmerston North; Wanganui; Taupo; containerdoor; container door.